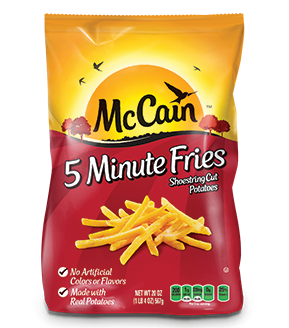 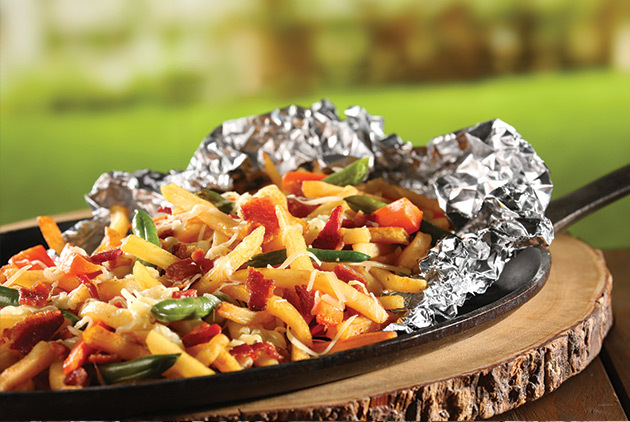 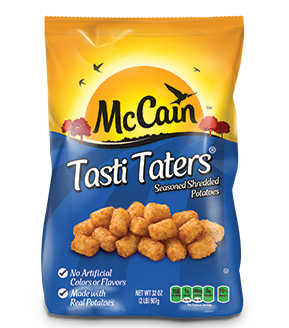 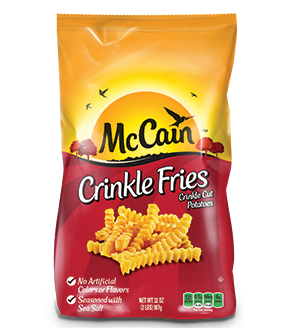 Start with your favorite McCain potato variety and add your favorite ingredients! 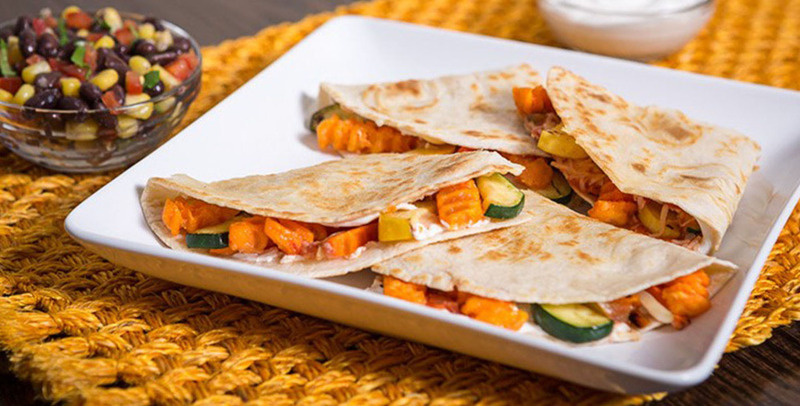 ​The natural sweet flavor and crunch of McCain® Sweet Potato Crinkle Fries make this quesadilla one to remember. 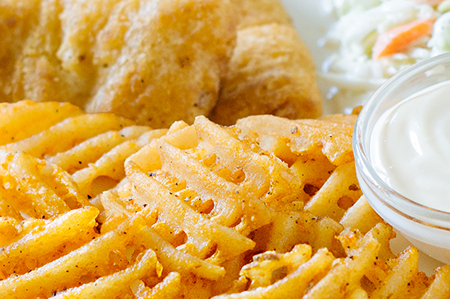 ​A fresh, flavorful take on classic fish and chips featuring McCain® Seasoned Waffle Fries, fresh cole slaw and a cool, sweet honey-lime mayo. 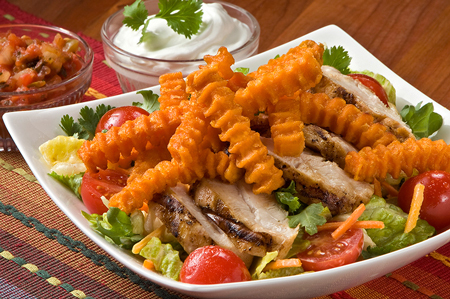 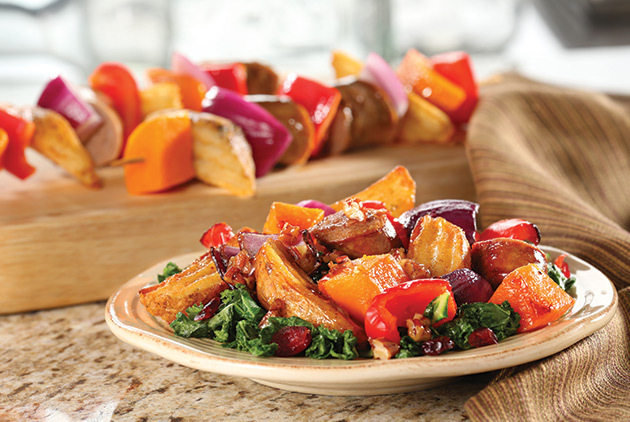 ​​McCain® Sweet Potato Crinkle Fries finish this delicious Mexican-inspired salad with a touch of sweetness. 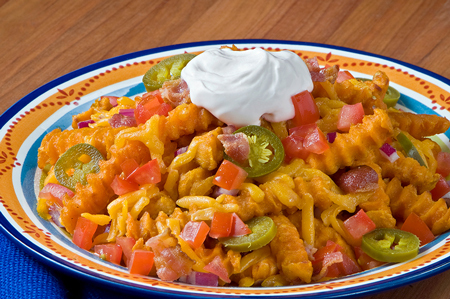 ​​​​​Who said nachos needed chips? 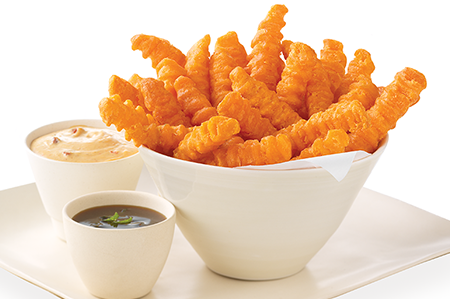 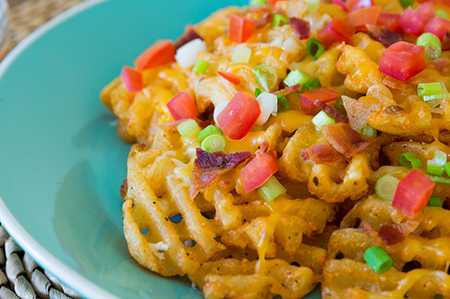 Add your favorite nacho toppings to McCain® Sweet Potato Crinkle Fries for a hearty appetizer at any party! 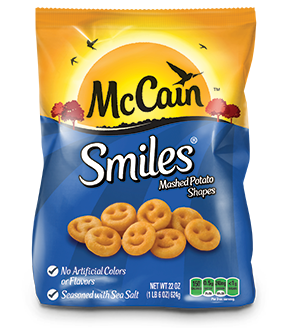 ​Make your kids grin from ear to ear with fun McCain® Smiles® on top of their favorite frozen pizza. 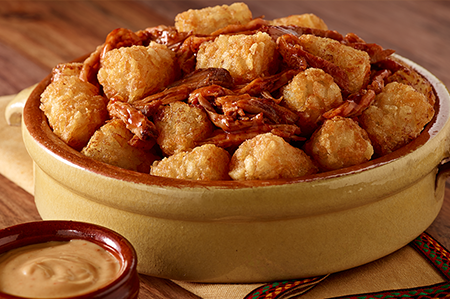 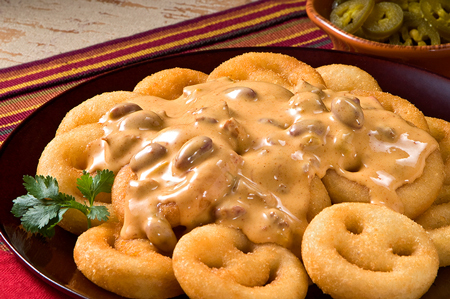 ​Dip your McCain® Smiles® into a Tex-Mex favorite, chili con queso, for family fun with a kick. 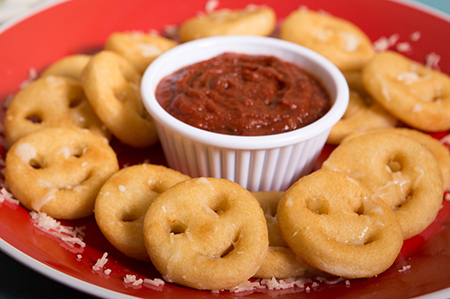 ​Your favorite pizza sauce is treated to the cheesiest of smiles. 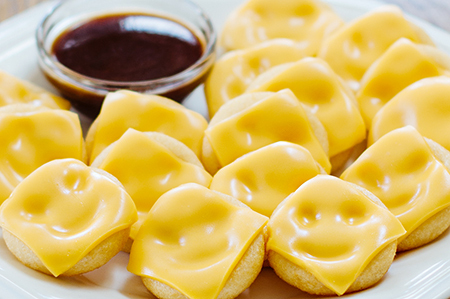 Share some of these oven-baked delights and watch the smiles spread. 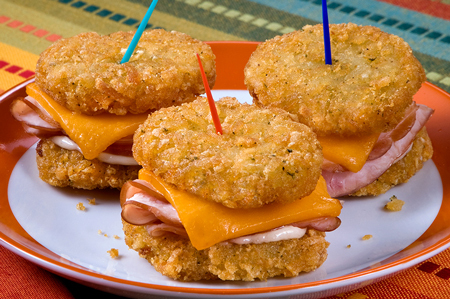 ​​​Warm, smoked turkey and melted cheese between little hash brown patties for delightful sandwich bites. 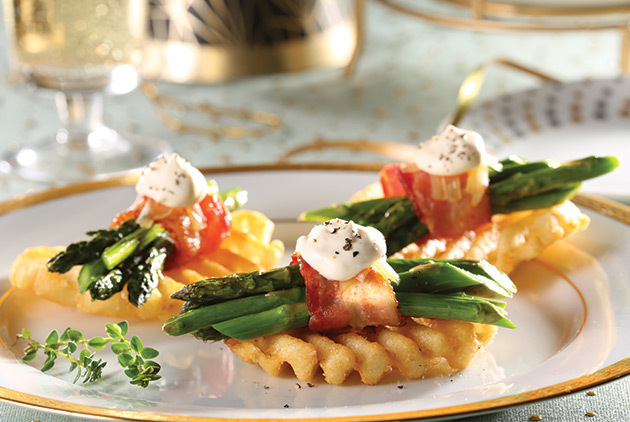 Perfect for entertaining, snacking, lunching, you name it. 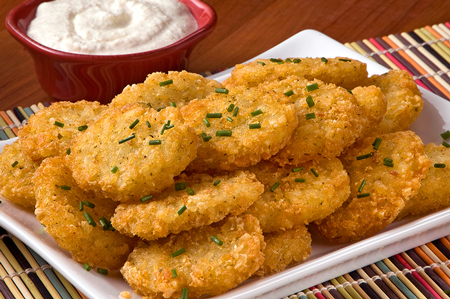 ​​Oven-baked hash brown patties with Irish kitchen-sink-style toppings and a kick of pickled jalapeño. 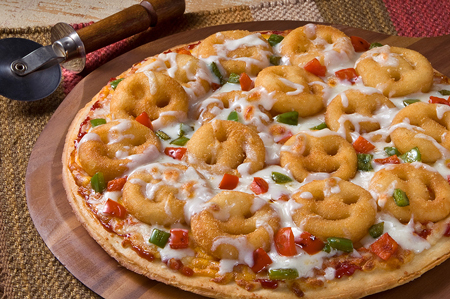 Mixing culinary traditions has never tasted so good! 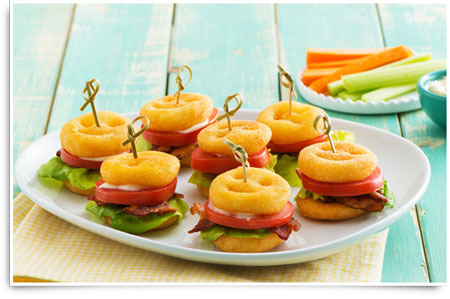 ​​​​Crispy Babycakes® mini potato hash browns with a sweet and savory apple sour cream dip. 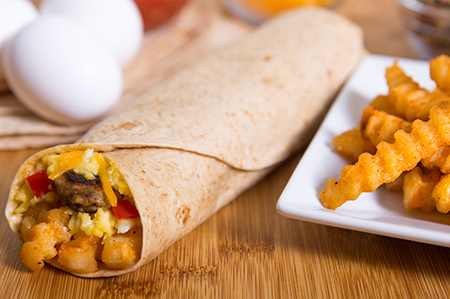 ​Whole-grain, 10-inch flour tortilla filled with scrambled eggs, low-fat cheese, McCain® Crinkle Fries, diced red bell peppers and chopped turkey breakfast sausage patties with a side of salsa. 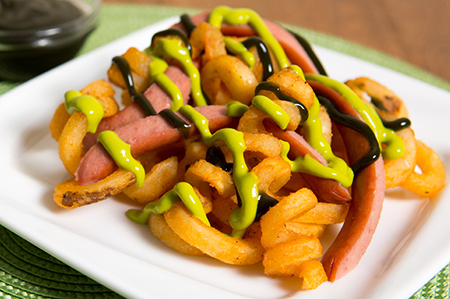 ​A great pre-trick-or-treat feast: a mound of crispy, oven-baked curly fries topped with worm-like hot dog strips dotted and drizzled with ketchup and mustard. 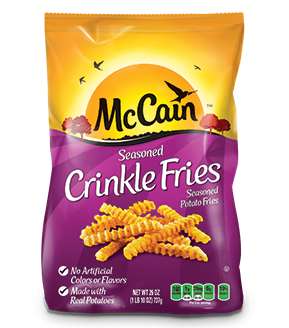 ​Oven-baked McCain® Seasoned Wedges arranged with slices of turkey between the potatoes to form a large turkey feather-wing. 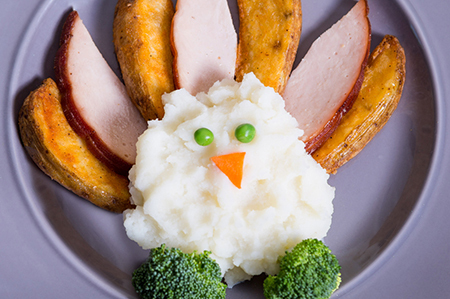 Small mound of mashed potatoes to make a turkey head with two green peas as eyes with broccoli florets at top of head served with a ramekin of turkey gravy for dipping. 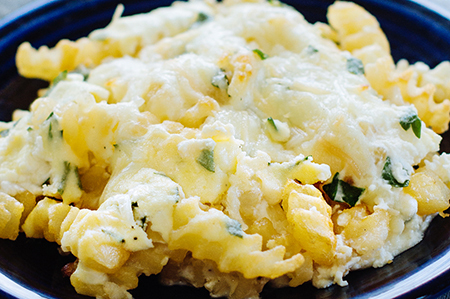 ​​​The taste of Au Gratin potatoes without all the fuss and time! 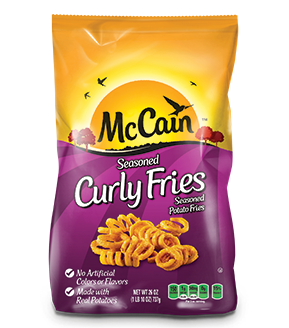 Oven-baked curly fries drizzled with warm creamy Alfredo sauce, grated or shredded Parmesan cheese, sprinkled with garlic seasoning and chopped parsley. 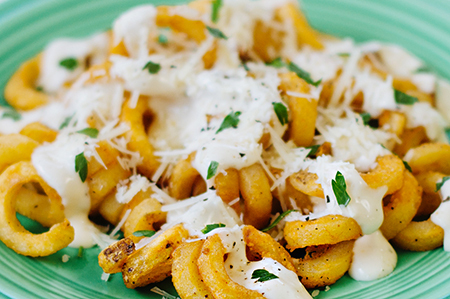 ​Crinkle cut potatoes mixed with Alfredo sauce, Parmesan and ricotta cheese, baked until golden brown and bubbling. 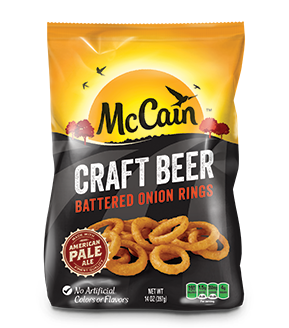 ​Oven-baked McCain® Seasoned Wedges topped with a slice of grilled steak wrapped in par-cooked bacon and finished in the oven, served with a small bamboo skewer and peppercorn-horseradish sour cream. 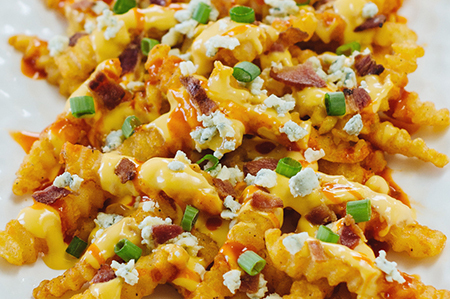 ​A platter of oven-baked, seasoned crinkle cut fries drizzled with warm stadium style cheddar cheese sauce, hot buffalo wing sauce, cool blue cheese crumbles and crispy bacon pieces. 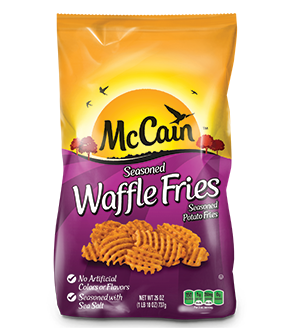 ​A platter of crisp, oven-baked McCain® Seasoned Waffle Fries topped with mouthwatering chicken gravy, chopped pieces of fried chicken and cole slaw, served with a pickle spear. 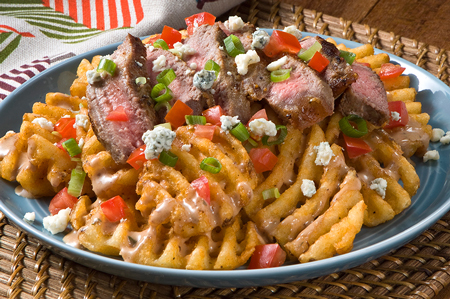 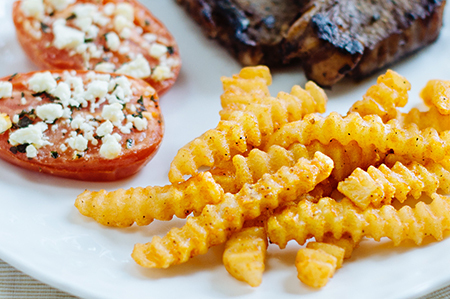 ​​A platter of crispy oven-baked McCain® Seasoned Waffle Fries topped with strips of thin-sliced, grilled steak with Montreal steak seasoning, diced onions, drizzled with steak house ranch, chopped scallions and diced tomatoes with blue cheese crumbles. 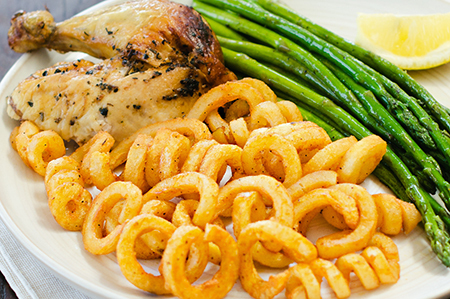 ​​​​​​A whole rotisserie chicken cut into quarters served with fresh asparagus, lemon wedges and McCain® oven-baked curly fries. 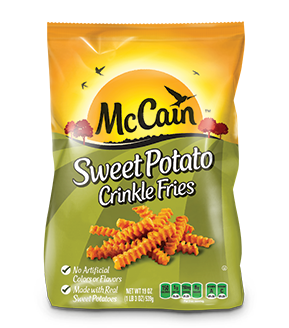 ​Dipping heads east: try crispy McCain® Sweet Potato Crinkle Fries with a zesty teriyaki lime sauce and spicy Thai chili aioli, and see how sweet dipping can be! 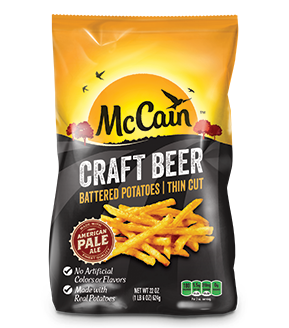 ​How do you make McCain® Craft Beer Battered Thin Cut Fries even better? 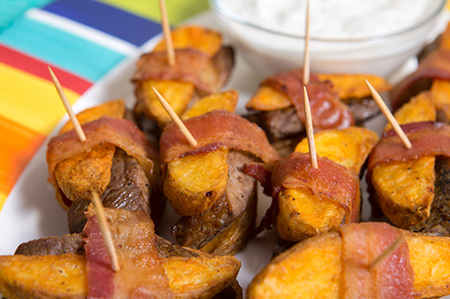 Bacon of course! 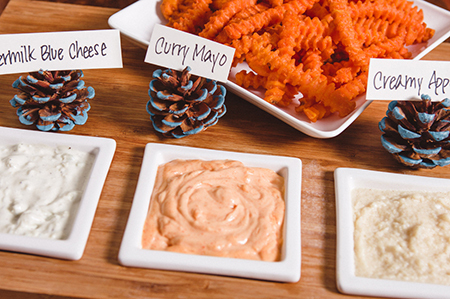 Create a simple BBQ mayonnaise for dipping and you have a new favorite late-night snack. 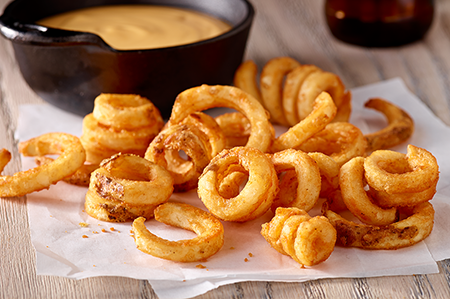 Take your preferred ale or lager and make a cheesy, party-favorite fondue with McCain® Seasoned Curly Fries for dipping. 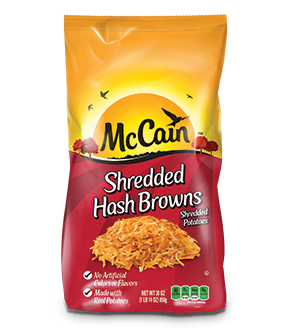 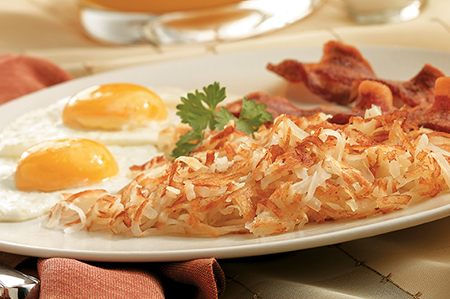 ​Put all the breakfast essentials—eggs, crispy bacon and McCain® Shredded Hash Browns—in one skillet for a simple, hearty start. 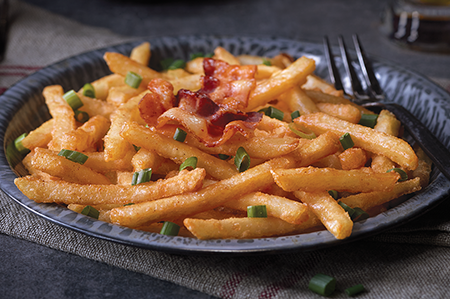 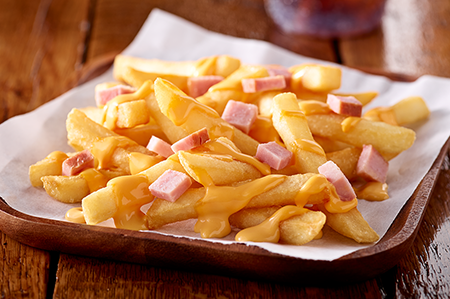 ​Loaded up crispy McCain® Classic Fries with hunks of ham and shreds of melty cheddar—even better with a tangy green onion sour cream. 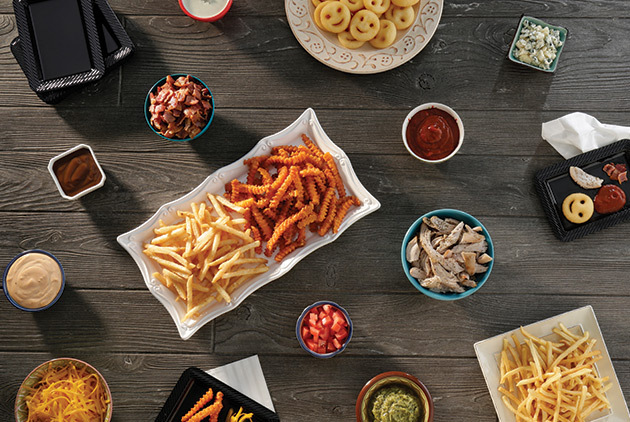 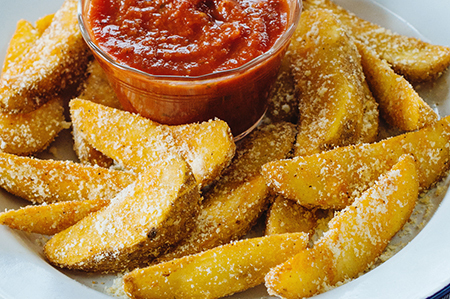 ​Serve your family or friends a variety of fries, toppings and dips so they can build their favorite fry combinations for a fun and filling get together. 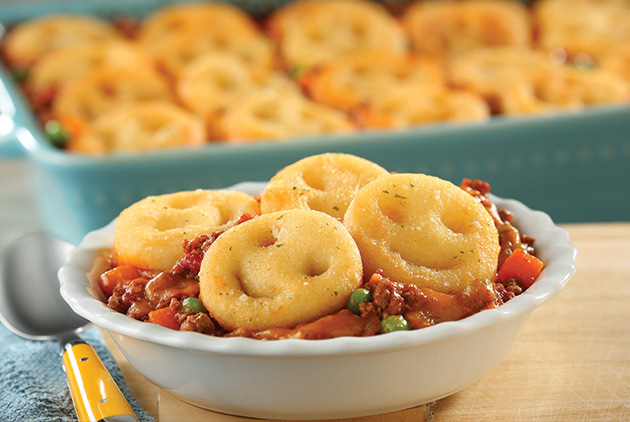 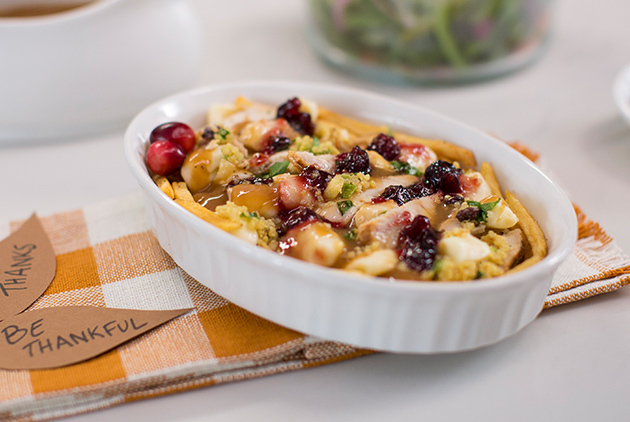 ​This hearty meal is a fun new twist on a family classic and will put a grin on everyone’s face. 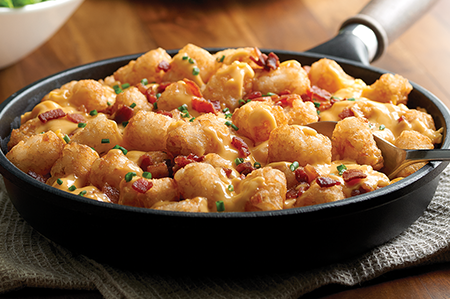 ​Bold flavors and textures come together to create this delicious, grownup offering. 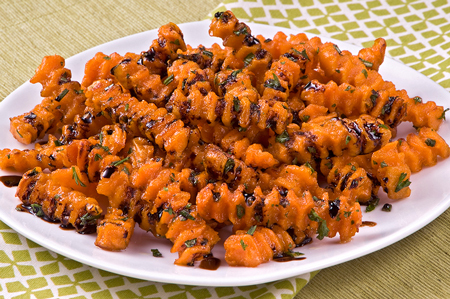 ​Asian flavors combine with a western favorite to make a truly unique dish your family and friends will love. 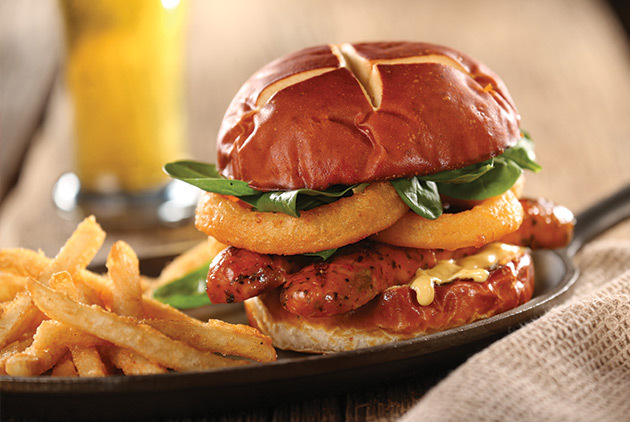 ​A filling sandwich that brings together classic favorites for a totally new dish. 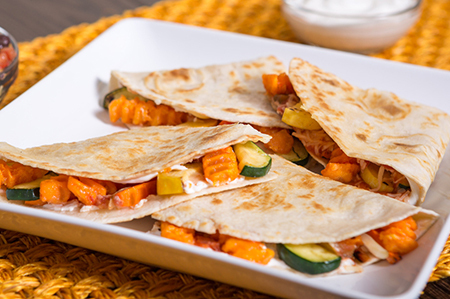 ​This easy-to-prepare dish is a great way to bring more vegetables into your meals—perfect for the summertime. 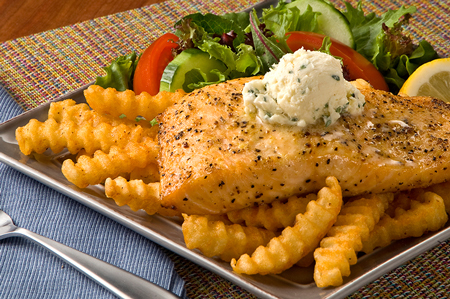 ​Perfect any time of day, this delicious meal will keep everyone full and happy. 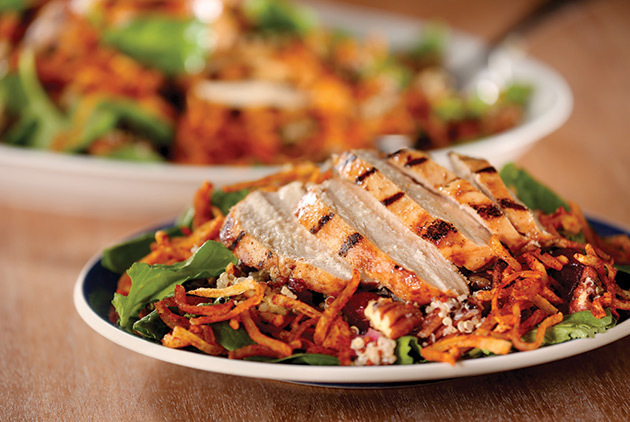 ​Sweet and savory never tasted so good. 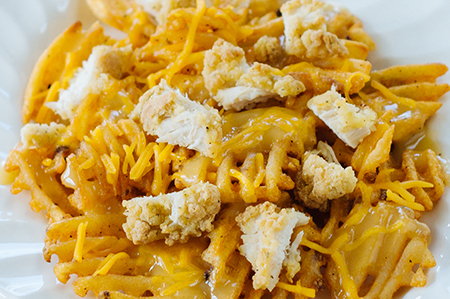 This dish is fun to assemble and tastes even better. 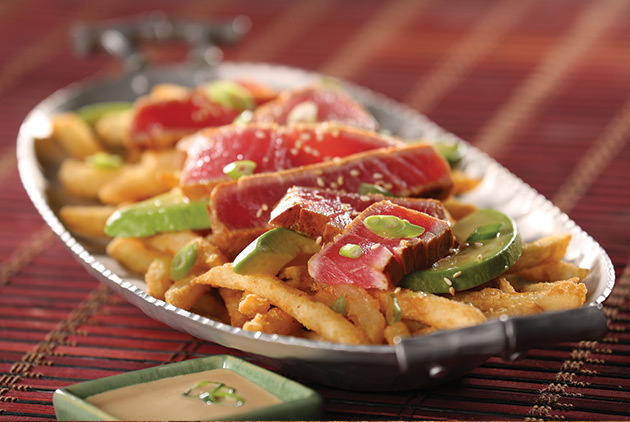 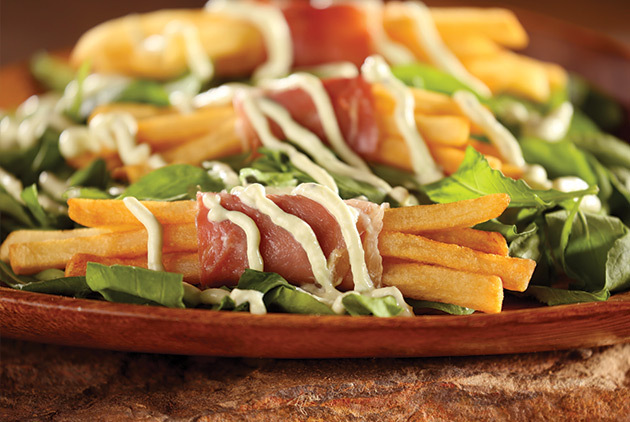 ​The salty ham flavor perfectly complements the fries and the creamy avocado drizzle makes things even tastier. 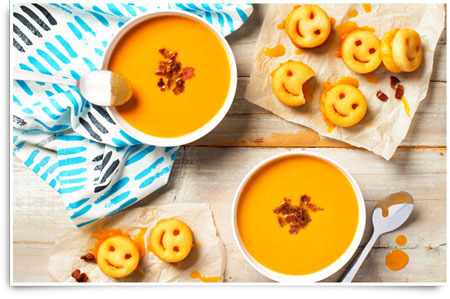 This fun take on a BLT will bring out the Smiles®! 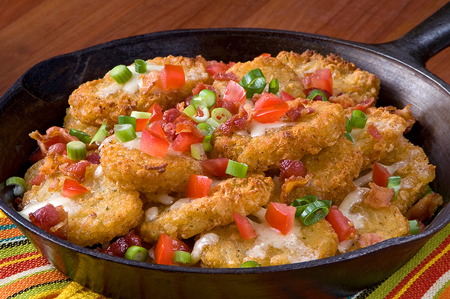 Serve as an appetizer or main dish for the whole family to enjoy. 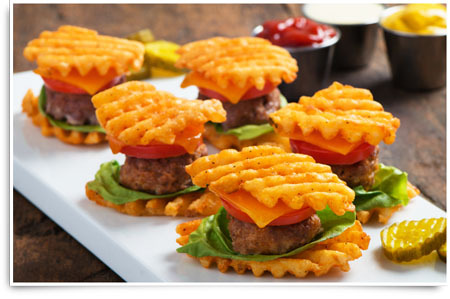 ​These mini sliders are a burger and fries all in one! 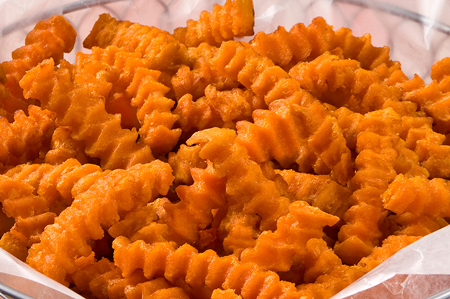 They might look small, but they’re deliciously gratifying and can be served as lunch, dinner or the perfect party appetizer. 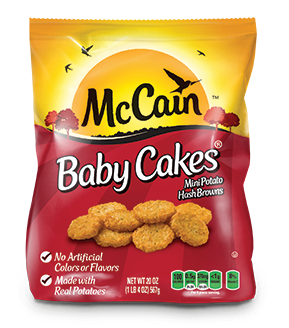 ​You’ll say it’s for the kids but adults are going to love dunking McCain® Smiles® into this hearty soup just as much, if not more than the little ones. 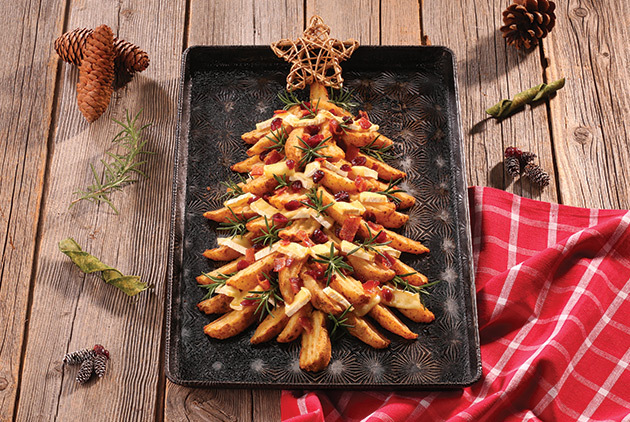 ​Enjoy more time with your family and spend less time in the kitchen. 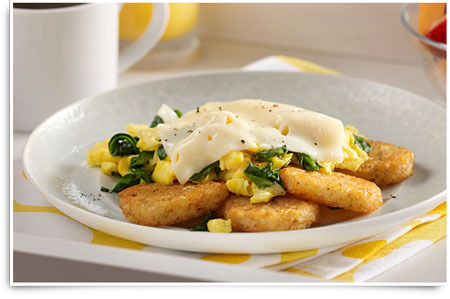 Super yummy and simple to make, our Baby Cakes® and Egg Florentine may just become your favorite breakfast.